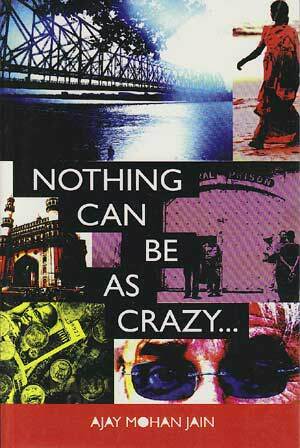 Nothing can be as crazy… is the story of a typical service-class Indian. Suresh, who works in a bank. He is naïve and conservative, and finds himself out of sync at every stage of life. Being a second-generation city migrant, he has not yet acquired the urban garb completely, and still finds certain things beyond his perception. The novel, set in the environs of Hyderabad, Calcutta and Uttar Pradesh, gives a graphic description of life of the urban middle-class. The story realistically reflects the life and the struggle of Suresh. Will he be able to change the system or will he fall in line?